​The sleepy Nico is a lovely UK homemade carrier. It is simple, soft and very easy to use. Each carrier is made by hand in the UK. Made from 100% organic cotton print & 100% cotton cord. Carry your baby on your front & back. Can be used from 3.5-15kg. Suitable from around 3 months and up. 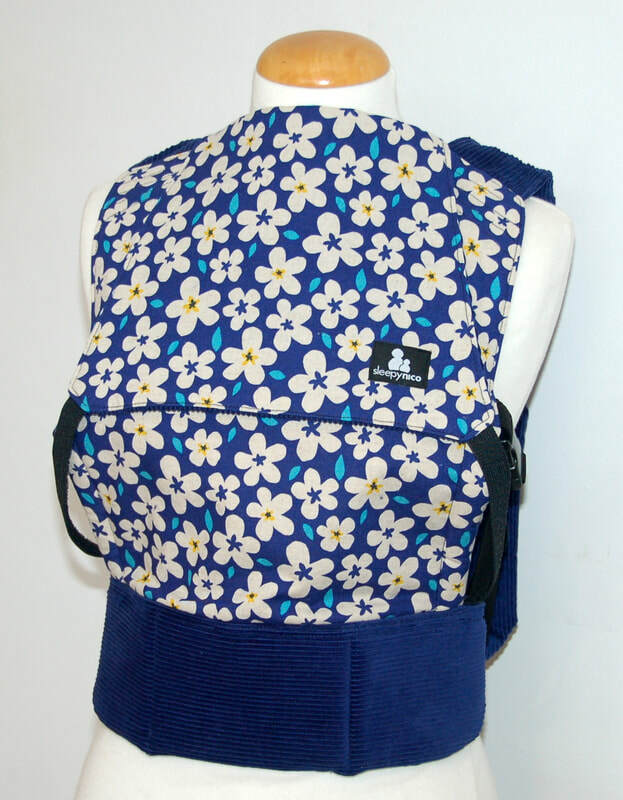 Shoulder straps can be worn ruckasack style or crossed on the back. Panel size - 33cm x 38cm.